Soak the rice for 2-3 hours. Drain and keep aside for an hour. Grind into fine powder and seive thrice. Roast the powder until a line can be drawn with the roasted powder. In a bowl, add 2 cups of roasted flour and salt. Bring the 2 cups of water to a boil. Add water little by little to the flour (as required) and mix well without forming lumps. 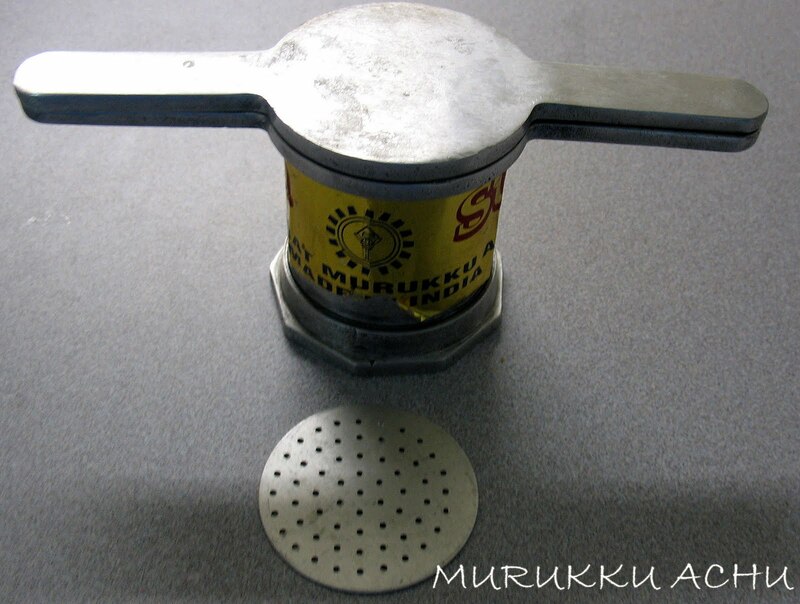 Put a small quantity of dough into the murukku achu(smallest holes pattern). 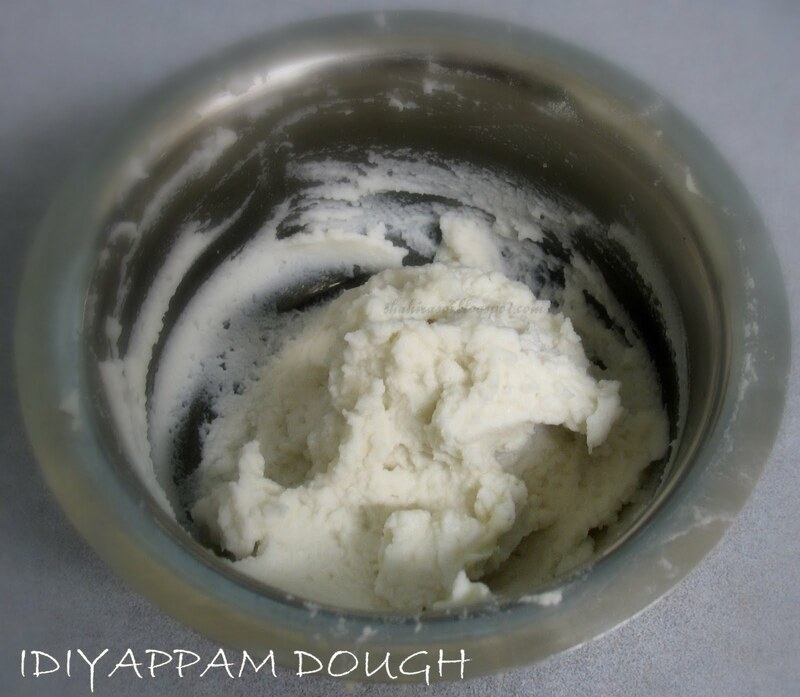 Press the dough on the idly moulds greased with oil. 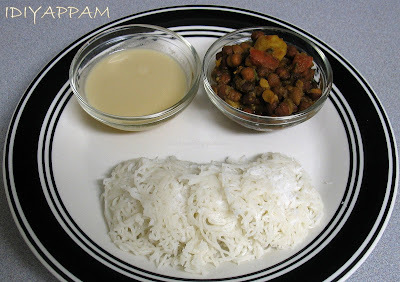 Add grated coconut on top of the idiyappam. Steam for 8-10 minutes. Serve warm with coconut milk or any vegetable dish. This is off to Srivalli's Breakfast Mela. nice classic recipe and well presented,dear! I love Idiyappams, your plate looks very inviting!..thanks for sending this to the Mela. Hi Rekha, first time here. 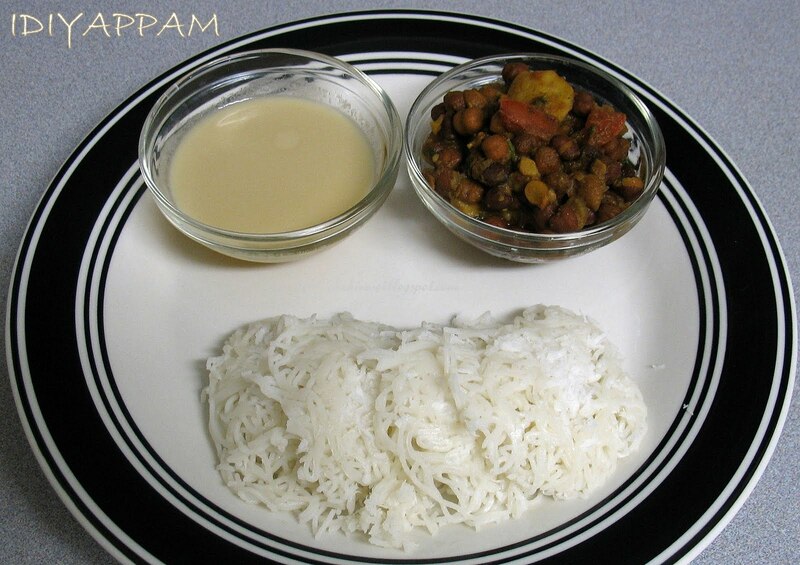 Looks like you have some wonderful recipes dear :) Love the idiyappam presentation!